I was busy busy busy last week and we missed Total Look! 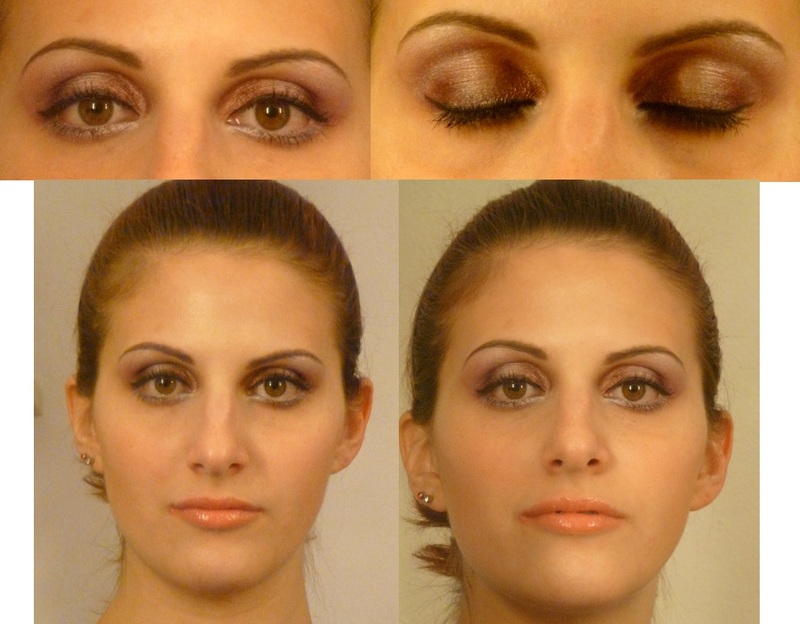 Eyes: mix together lilac and bronze eye shadow and apply it on the entire eyelid. In the outer corner of the eyelid, I apply a purple eye shadow that contains silver glitter and, in the light points, apply a white powder. Then, at the center of the lid, I apply a pearly pink eye shadow. Use a black eyeliner to make a thin line on your eyes (the final part of the line should follow the trend of the eye). In the lower eyelid apply a white powder and blend it horizontally. Use a black mascara and trace your eyebrows with a pencil. Lips: use a transparent or pale pink gloss. Cheeks: use a brown blush (not too dark) to apply under the cheekbone, then blend it vertically and your face will look thinner. Apply an illuminating cream to give light to cheekbones, chin, center front. You have to shine on the red carpet of Cannes Film Festival, so your outfit must be sophisticated and sparkling. You have to be noticed! MC: If you could pick anybody in the Vancouver entertainment industry to interview, who would it be. buy. They ensure to carry all the possible instruments that will cover up the problem.